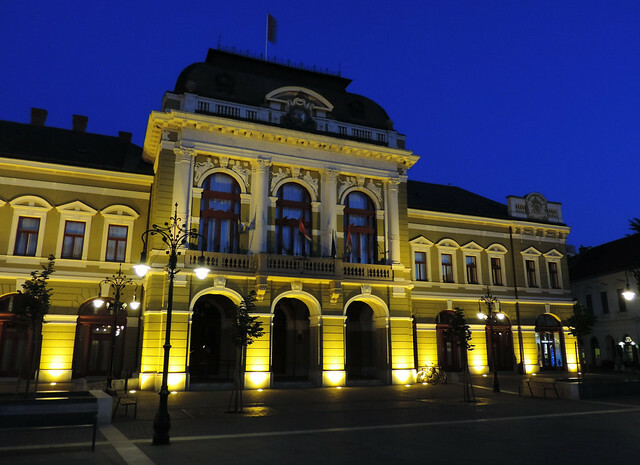 It’s time to continue our series about Hungarian cities and we have another charming place to show you this time: Eger. It’s located in Northern Hungary on the hills of Bükk Mountains and it’s a city of history and wine. “Eclipse of the Crescent Moon” was the first historical novel that we read at the age of 10 – just as all the other kids in school. Since then we’ve known very well who the heroes of Eger are and soon enough after reading the book we also had a school trip to Eger. “Eclipse of the Crescent Moon” is a very good book, by the way. I enjoyed it as a child and I also enjoyed reading it again several years later. It has been translated into numerous languages and it takes you back to the age of Turkish occupation in Hungary. I can recommend it to anyone who wants to read an exciting historical novel – including some romance, of course. Back to Eger now. Its most famous historical building is the middle age castle. It’s that castle that a handful of brave Hungarian soldiers defended against the Turks in the novel – and in reality, too, in 1552. I should rather say castle ruins than castle today, but after all the renovations it’s in a surprisingly good condition. 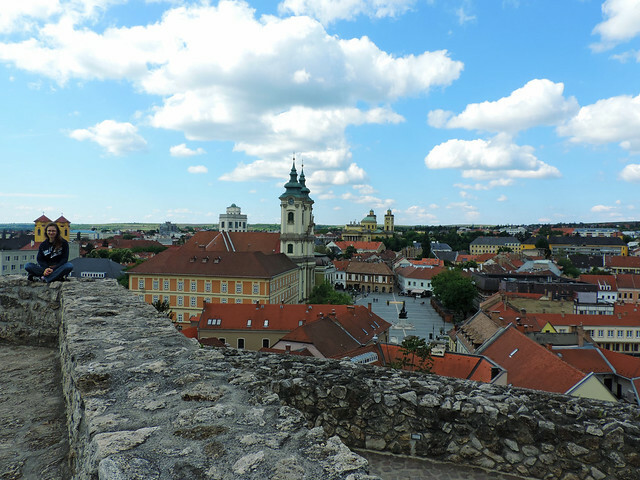 From the medieval walls we got a beautiful view of Eger’s center and there are several exhibitions if you want to know more about the details of that famous battle in 1552. Not far from the castle entrance there is a square named in honour of the captain of the Hungarians in that battle: Dobó Square. 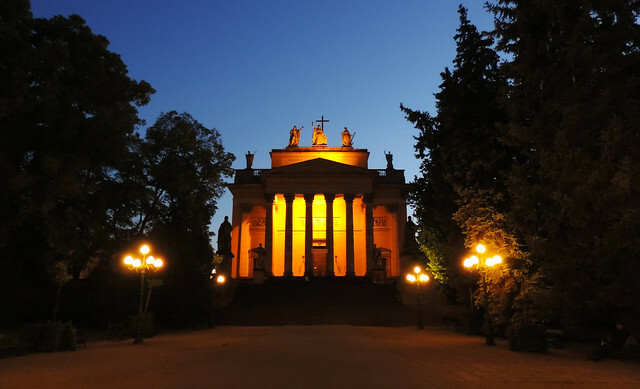 This lovely place is dominated by a stunning Baroque church and the statue of Dobó István. Though Dobó István and his soldiers held back the Turkish Empire for a while but finally the Turks took over the city in 1596 – along with the majority of medieval Hungary. The 40 meters high Minaret with its 93 stairs was built during the Turkish rule and it still stands today. But history doesn’t end with the castle ruins and the Minaret. History is everywhere in Eger: in the cobbled streets, in the Baroque churches and palaces or in the late baroque style Lyceum that is one of the oldest libraries in Hungary. The oldest building in the city is probably the one called Buttler House. 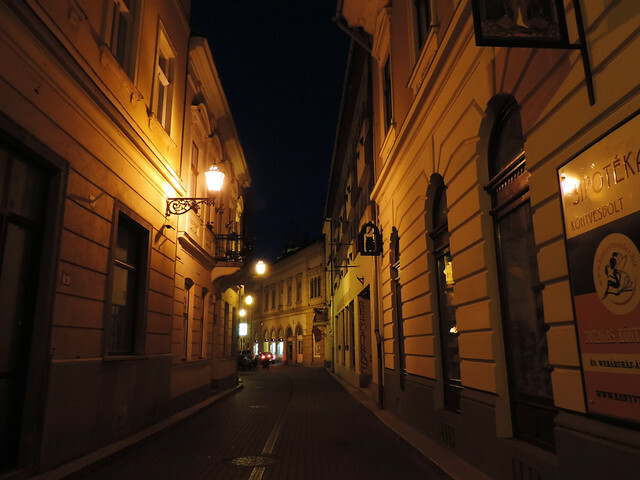 Széchenyi Street is a lovely walking street with colorful cafes, confectionaries and bars. Kossuth Lajos street is one of the main streets with wonderful Baroque and Rococo buildings decorated with bent iron balconies. Kisrepost and Nagyrepost Palaces and the Frank Monastery and Church are especially worth to take a look. Another unique remnant of the Turkish era in Eger is the thermal bath culture. Hungary is famous for its countless thermal spas anyway and Eger is one of the top places to get a taste of it. The most special part of Eger Termál is probably its authentic Turkish bath (Törökfürdő in Hungarian). 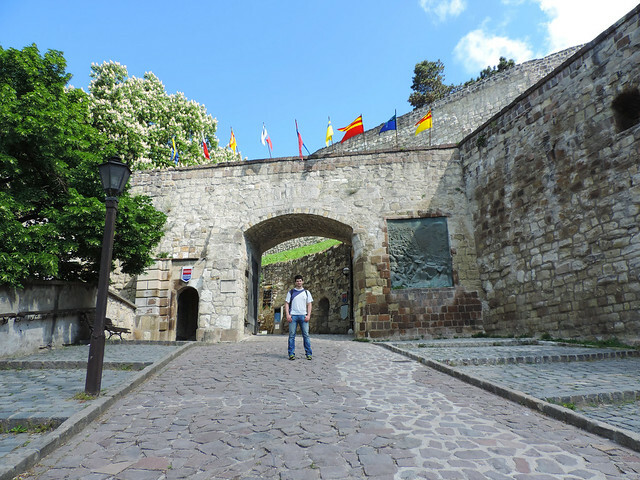 And speaking of how to relax it’s impossible not to mention wine when we talk about Eger. Hungary’s most famous wine region is located on the slopes of the South-West part of Bükk Mountains and its center is Eger. And there is a place that will be a favorite of all wine lovers: it’s called the Valley of the Beautiful Women (Szépasszonyvölgy in Hungarian). This valley is not even far from the city center of Eger (half an hour by walk) and it has about 200 wine cellars – dozens of them are open to the public. It’s the most famous place for wine tasting in Hungary – and for a good reason: you can choose from a huge variety of quality wine. The most famous wine in Eger is definitely “Egri Bikavér” (it means “Bull’s Blood from Eger”) that is a ruby red, dry wine made from a mixture of at least three different types of grapes from the region. Some other famous wines are: “Egri Kékfrankos” and “Egri Cabernet Sauvignon” that are also red wines; “Egri Leányka” and “Egri Muskotály” – they are white wines. And who is the Beautiful Women? No one knows it for sure, but different stories are told. One of them says it’s a pagan goddess. Another says it was a beautiful frivolous local lady with a scandalous life. And another says that it was a beautiful waitress working in one of the cellars in the valley. Well, you can go figure it out for yourself. 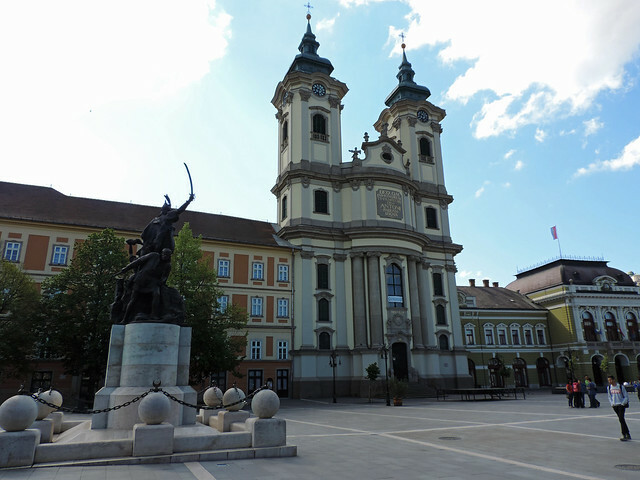 Eger is 1.5 hours drive from Budapest and about 2 hours by train. Just as in case of so many Hungarian cities its center is easily walkable. Actually, I don’t think we’ve ever used public transport to explore Hungarian cities other than Budapest. Of course, it helps if you book accommodation close to the center. 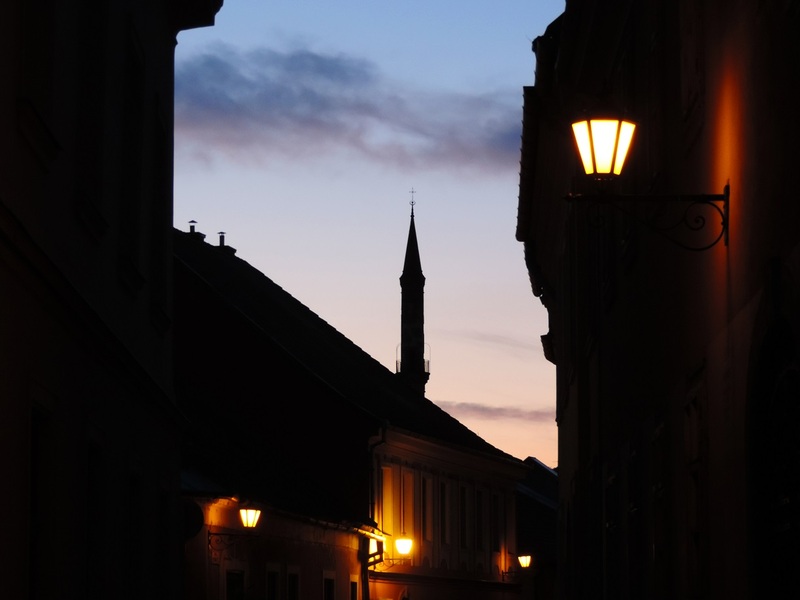 There are quite a few things to explore near Eger. Like the limestone terraces of Egerszalók. Or Bükk National Park, one of our favorites in Hungary. Even Aggtelek National Park and the cave bath of Miskolctapolca are easily reachable. If you venture out to all these places though we would consider renting a car. Public transport is quite good in Hungary, surprisingly even the smallest villages can be accessed at least by local buses, but those run only once or twice a day. So exploring places in Aggtelek or Bükk National Park is much more convenient by car. Any questions left? Would you like to read more about Hungary on the blog?